For each entry, an overall review with detail pros, cons of their features and evaluation will be included in conjunction with similar range devices comparison. In addition, a detailed guide and walk through will be included on how to choose the best rice cooker that meets your budget requirement while exceedingly fit all expectation of your cooking situation. This is the new update version of the best selling rice cooker in the States: Instant pot Duo. 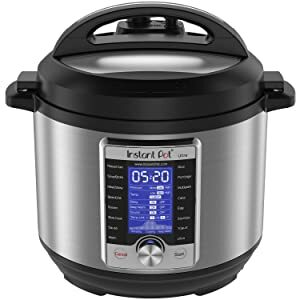 It inherited all the wonderful capabilities of its predecessor such as being a pressure cooker, slow cooker, steamer, sauté/sear, yogurt maker/ferment, soup, stew, bake, egg, etc. This new version model added fully customizable cooking programs, a full process indicator, altitude adjustment, precision cooking, larger LCD display, pressure release reset and all sort of others new features. The inner pot is made of stainless steel without any coating. Its outer body is made of stainless steel in thermal vacuum seal type to trap in heat. This is so easy to clean and most of the parts except for outer body are dishwasher safe.Rice cooking is very quick under high pressure, rice quality is desirable but not exceptional like those Japanese/Korean rice cooker since those have their own rice cooking algorithm. For an infrequent rice eater, this might be acceptable since it just has so many other uses and has a super large base of applicable recipe. Now, this model doesn’t have smart connect capability. 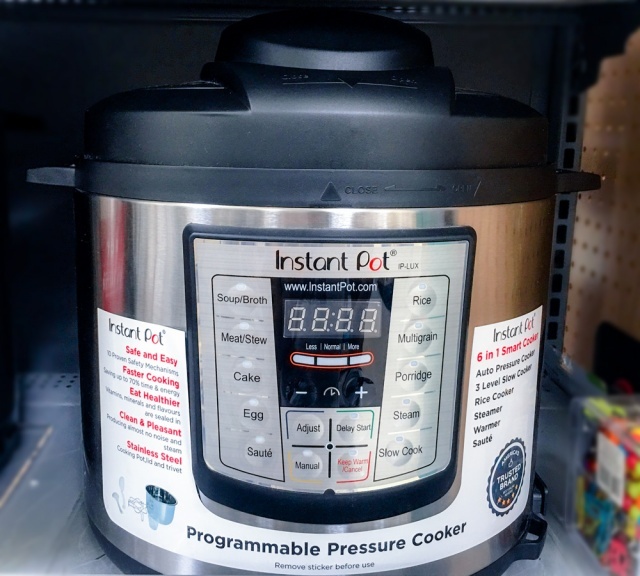 If that is what you’re desired, then look into its cousin: the Instant Pot Smart + app model, which have almost every features but the self sterilize and self-reset pressure valve. However, that smart model can be connected to any Bluetooth device and accepting custom recipe scripts, which is niche in allowing limitless temperatures sequential control of cooking process. Imagine that, download or write your own recipe scripts and share them with friends and family.Durability on any Instant Pot is sort of average. Still, for such a price with that much versatility (costs less than half of a similar function Cuckoo); this is definitely a worth-wise purchase. This is a very popular rice cooker that was developed mainly just for cooking rice from the popular brand Zojirushi. This is not the regular one switch cook & warm electro-mechanic like the conventional cooker, but rather one equip with a micom chip to control the cooking temperature sequences. The result is better rice quality compare to any conventional rice cooker. Not only that, this rice cooker has several built-in functions that work with sushi rice, brown rice, porridge, steamer, cake baking, etc. They are all yield great result if you follow the engraved water guide line inside the nonstick pot. On compare to other similar price range on market, this rice cooker indeed yields one of the best cooked rice qualities, be it white or brown. This pot is available in 5 cups/1 L and 10 cups/1.8 L sizes, perfectly fit for small to large family or event with crowd party. Clean up is a breeze as most washable parts are PBA-free nonstick plastic and removable inner lid. A note on this pot is that even though Zojirushi’s products used to be of high quality and durability before, now that they’re moving most of their micom and conventional product lines to China to reduce cost, these lower end product seems to not on par with those 8-10 years ago. So, don’t expect this to last over 10 years if you happen to own a Zojirushi before. Another note is on the cooking time. 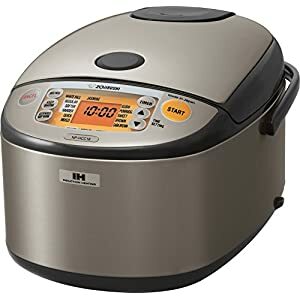 Even though this rice cooker does cook up some of the best quality rice than any machine in the same price range, it’s also one of the lowest too, even on quick cooking mode. This is the perfect rice cooker, if not the best among electronic or microcomputer controlled (micom) rice cookers. Not just a typical step up from the conventional rice cooker, this Tiger cooker give the best cooked rice quality one can achieve. Just pour the rice in, add water and press start. Voila! This thing will start its own automatic cooking logic and precisely cook the best rice quality every time. Just open the lid once it is done, and the load of rice aroma will surf out and bring sensation to every part of your bones. Not only white rice, this rice cooker also has preset options for cooking brown rice, multi-grain, mixed and sweet rice. All of them are giving superior rice quality making this one of the most stand-out rice cooker. There’re also options for porridge, slow cook and steam and they are all performing to the perfect as well. Other features include automatic keep warm function, delay timer, non-stick pot and lid, etc. For accessories, it comes with a rice paddle, ladle, steamer and measuring cup. All of these are non-stick and made of exceptional quality plastic that would last for years of heavy usages. Especially the rice paddle, it would work perfectly with sticky or any sushi rice. Best of all, this pot is made in Japan and has been known for its long lasting life. 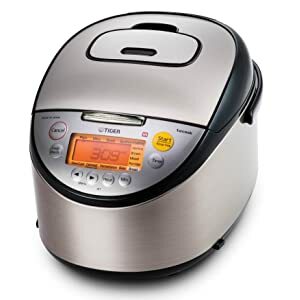 This rice cooker is in the medium price range for a micom rice cooker, however, it is a worth wise purchase for its exceptional working quality and durability. High quality accessories: rice spatula, ladle and steamer. All are non-stick, high durability, thick and solid against heat (up to 248F), scratch, dirt, stain, etc. Zojirushi is one of best selling Japanese rice cooker brand. Similar to Tiger, all of their rice cookers from the traditional electro-mechanic to micom and now IH rice cooker all produce superior rice taste and texture compared to other brands. Probably due to economic/profit controlling, some of the lower price range models of Zojirushi are now made in China, while the more luxury (and hence higher end) products are still produce in Japan. This model, available in 10 cups (Zojirushi NP-HCC18XH) and 5 cups (NP-HCC10XH), luckily is one of their Japan made models. It comes with high quality pot while having loads of versatile options for cooking rice and other culinary purposes on IH (induction heating) technology. This is the next step up from a standard electric rice cooker, which uses induction heating to evenly distribute high or low heat to the inner cooking pot rather than at several focal points. Due to this temperature during cooking process is controlled precisely, thus produce great quality rice. Now there are many other induction rice cookers on the market; however this Zojirushi rice cooker stands out due to its ability in cooking magnificent brown rice quality at such an affordable price among IH rice cookers. This rice cooker can take brown rice, germinated brown rice and also GABA (warm soak before cooking) single-handy. This Zojirushi rice cooker has a darker gray stainless steel on black exterior with orange control panel, overall oblong shape, kind of resembling older/formal sushi chef style. This, with its clear coating, helps keep the rice cooker from attracting dirt, stain and very easy to maintain. There is also a separate built-in algorithm for Jasmine rice to bring out its full aroma and tasty nature. Other functions of an electric rice cooker are still here like automatic keep warm (w/ extended keep warm at lower heat), multi-cook, timer, etc. Rice cooking focus functions: brown rice, germinated brown rice, GABA, short/medium white rice in regular/soft/hard texture, porridge, sushi rice, jasmine rice, mixed rice, sweet rice and quick cooking. All functions yield beautifully shine, super tasty and exceptional quality rice. This Tiger JKT-S model is one of the best induction rice cookers you could found. As you may have known, Tiger rice cooker is always made with quality and user integrity in Japan. 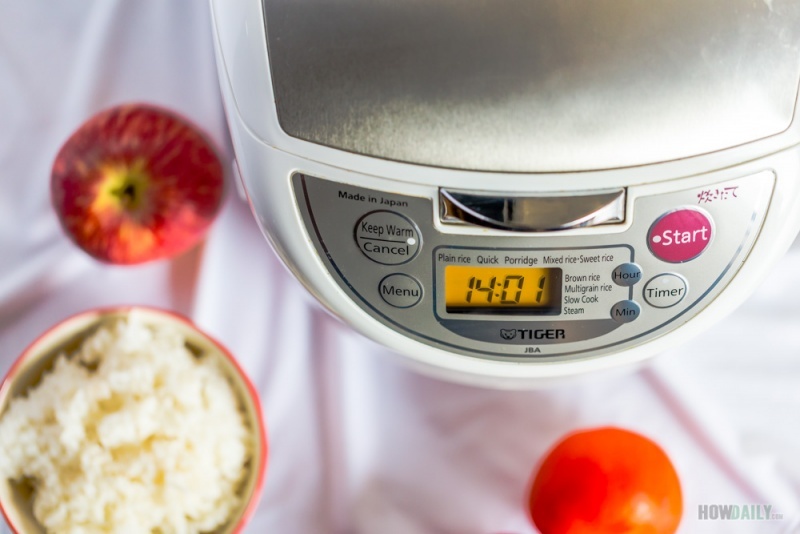 While Zojirushi IH rice cooker have an upper hand on brown rice cooking orientation, Tiger rice cooker tends to have more all-in-one appliance capabilities such as slow-cooker, bread maker, etc. This model have the thickest inner pot made of 8 layers metal and ceramic coating at 2.5mm to achieve the solid non-sticking surface. The inner pot also has side handles for easy holding. If you’ve ever have to pick up a hot pot of rice or soup then you would appreciate this feature so much more. Carrying the spectacular features of Tiger lines of micom rice cooker, this JKT-S model also include induction heating system for evenly all around cooking and fermented/baking functions. This one also includes a BPA free tacook plate to assist in the simultaneously cooking other food along side with rice, making a whole meal with just one button setting. Bread baking and fermenting are also a valuable feature while many are appreciated for the slow cooker and oatmeal functions. Washing is ease with all non-stick surface, stainless outer body, full lid removable, etc. For such a high quality built, faster speed, extra functionality (slow cook, bread baking/fermenting, oat meal), this model is also cost a heap over that induction Zojirushi rice cooker. If you want the best Japanese rice cooker, this is it, the Zojirushi induction and pressure rice cooker is for you. As the name sound, this device is focused mainly on cooking white and brown rice in a deep level. Everything from scorching to re-brown the rice, pump up umami flavor, single-handy brown rice start to finish, amazing work with germinated brown rice… There’s no other device that make better flavor and rice oriented than this one. The cooker appearance is still that old traditional oblong of a high-end Zojirushi rice cooker. This device is also made in Japan, which sort of guarantee its durability to heavy use. Available in both large 10 cups and 5 cups sizes. The price tag is ok considering how powerful this machine is at cooking rice. 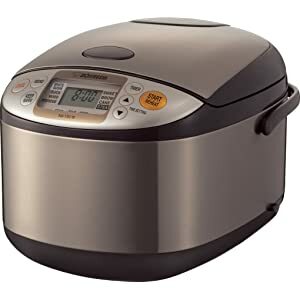 However, for most Westerners/American who are not eating rice on a daily basis, it might be a bit overprice for solely rice cooker without any extra features like slow cook, soup, etc. So depend on the situation, this could either be the best rice cooker or the not-so-ideal one for your home. 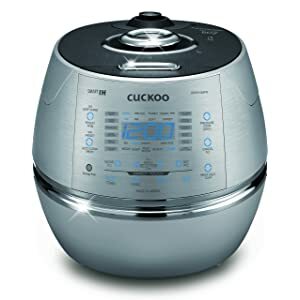 If you have some money to spare and want the best rice cooker on the market, you could try look into these intelligent rice cookers – all quality Korean made Cuckoo 1009 series. You’ll see, in this age of smart technology everything is controlled and customizable from your phone, so do these rice cookers. These models (starting with the Cuckoo CRP-AHSS1009FN, CRP-CHSS1009FNN, CRP-GHSR1009F, and the latest CRP-JHVR1009F) are designed with modern space integrity in mind that would blow you away. Their bodies are made from 304- stainless steel with special coatings to have that star war jukebox look & feel, so sleek indeed. They can be controlled from any android device (sorry, no iPhones yet) and fully customized in term of temperature and time. They are all come with presets for cooking all sorts of rice types and cooking. All cooking rice modes yield exceptional results with the fastest speed among any inductor/pressure rice cookers on the market. They also have controls for fermenting and baking bread too. The latest version also comes with “My mode” setting through variable DSP chip so that you can fully customize cooking algorithm to your liking. All of them are back-up with 21 safety mechanism to avoid issues with pressure cooking. Into canning, these have two High (2atm) and Low (1.2) pressure settings too. The above models are 10 cup uncooked capacity that would fit for a family small to large, for powerful mini rice cookers, try their 5 cup rice cooker CRP-DHSR0609F or 3 cup rice cooker CRP-EHSS0309F to get same features in small servings. On compare with high-end Japanese rice cooker brands, while Zojirushi rice cookers mainly focus on cooking the best quality Japanese white grains (short/medium/sushi) and brown rice; Tiger cookers have an astounding balance of making tasty rice the Easterners’ way and add frequent useful functions of Westerner/American home kitchen (such as multi-cook, slow cook, baking, ferment, soup, steam, etc.). Cuckoo machine is, on another hand, have built-in algorithm for every imaginable rice types and cooking styles while immersing lots of users control/customization through variable modes and fully adjustable settings. Another plus is that in any given task, Cuckoo rice cooker always cook up faster than Tiger’s and Zojirushi’s, especially when cooking in large batch. That’s why these Cuckoo models are very welcome among the Asian cooking community and professional chefs. Their high price tag and their lack of promotion to the Western base customers are what usually make them less appeal in this part, however, once you got them, you will see the reason why these super high-end products are totally worth it. High (2atm) and low (1.2) pressure cooking modes. This is simply a cheap rice cooker, very budget that retail around $30. It carries the simplest function, cook and then keep the rice warm when finished. Its capacity is small, 3 cup rice maxed (yield about 6 cups cooked rice), which is perfectly fit for single user or small family. Cooking time is quick, roughly 20 minutes for small quantity. The inner pot is fully stainless steel without any coating, which many would love it (Teflon free) or hate it (somewhat sticking if not pre-rinse rice). Mechanism is simple, measure the rice, add water, plug-in, and press the cook button. It will turn to warm when finish, but do remember that due to its design, heat will be dissipated quickly once unplug. As far as rice quality concern, it’s average, nothing to excite about. 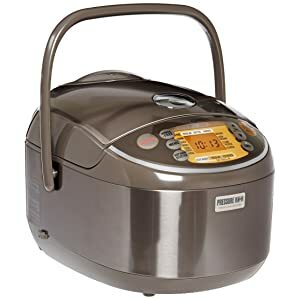 It is just on par with other mechanic/conventional rice cooker, which means it’s all depend on how skillful you are at water leveling and timing. The rice quality might not be better; but at least, it’ll save you time and hassle of cooking rice on stove top. A notably plus is due to its small cute size, this could work as a soup/food warmer, fondue or chocolate hot pot on your serving table with space for spoon/ladle rest too. Now if you just want some above basic functions of cooking at the lowest price possible, this pot will probably work for you. It is a rice cooker but also equipped with heat/simmering for soup/stew/slow cook, steamer, hot cereal and also a timer. All of that for just about $35, you can’t get anymore budget-able than that. It’s available in 7 cups (14 cups cooked) and 10 cups (20 cups cooked) sizes, so it work well for a large party too. Rice quality, again, remains to be desired but for such low price, this works well for any non-rice based diet family. Heat/simmering options for risotto, soups, chili, pasta, etc. This is a rice cooker, but not necessarily one. 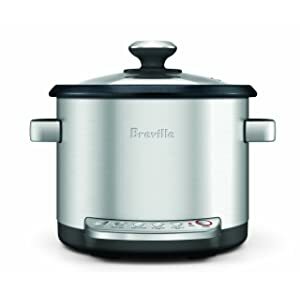 That is this Breville mainly target at risotto, an Italian rice dish. So, it can cook rice well but with some extra liquid and ingredients that require stirring and such. This machine can cook any type of rice with that you have to test and figure out the correct proportion of rice and water. The included cookbook is quite useless in that aspect as all rice recipe lead to crust on the bottom, which is never happen in a quality rice cooker. On the other hand, this one can make good risotto, sauté, steaming vegetable, slow cook and soup. It switches to keep-warm automatically when done cooking. Since its design is single layer body with detached lid, it doesn’t contain heat or manage moisture very well, hence reducing overall rice quality. On the plus side it is on the affordable price range and can be useful for many American home cooks, since they’re not frequent rice eaters like the Easterners (Japanese/Korean) do. 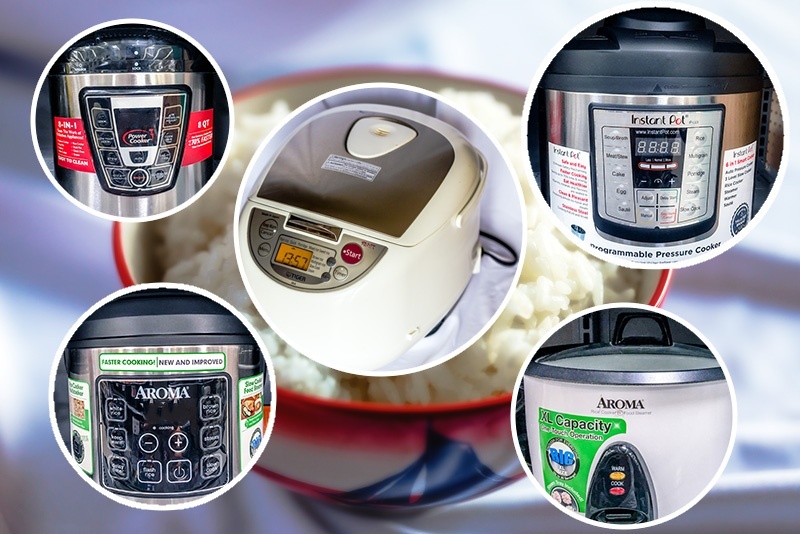 So you look at the above 10 standout rice cookers but still confuse on which one to purchase, this guide is here to give you some more suggestion and information on choosing not the best but the perfect fitted rice cooker for your cooking situation. Generally speaking, with a good rice cooker, all you have to do is just measure the rice, fill water to recommend guide line and hit the button. There, once the device is done with its cooking you should have some great tasting rice and the result should be consistent how many times you cook. But as you may know, not all rice cookers are made equal. Each has its own targeted design and specification that would meet certain base customer needs. So here are some aspects that you should pay attention to when choosing a rice cooker. The first thing you should think about is how big is a rice cooker do you need? Rice cooker typically come in various sizes: 1 cup, 3 cups, 5.5 cups (1 L), 7 cups, 8 cups, and 10 cups (1.8 L) measured by their maximum cook-able capacity of raw/uncooked rice. Note that the cup label, unless specifically say US cup (~236ml), is usually mean the Asian/Japanese cup (~200ml). 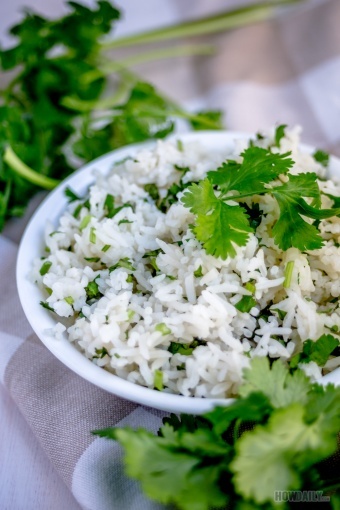 Each cup of uncooked rice will become roughly 2 cup cooked rice. When do your shopping, pay attention to the detail because some rice cookers might list their capacity per cooked rice cup while others (most Asian based brands) listed theirs as uncooked/raw rice cup. So there, depend on how many people do you need to cook for at a time, you should have a figure of cup size for you rice cooker. Remember though, it’s always better to allow some extra space and select a larger cooker than your need. This is proof for unexpected appetite, extra guests and a tip within the rice cooking community: rice cooker always behaves better with smaller rice amount than its max capacity. Not to mention that in some product lines, the cost different between large and small version is just so minimal that it won’t worth it for the extra proofing. Simply put, this is depended directly on how much your budget allowance is. The more budget you have the more powerful rice cooker you could choose from, you’d get what you paid for. Rice cookers could range anywhere from the low $20 to upper $600. So keep in mind a few questions while you traverse through some popular rice cooker type below. As said before, there are several types of rice cooker on the market. You might be familiar with the conventional electric rice cooker, which usually have electro-mechanic button to switch the cooker between cook and warm states. The rice is cooked through a coil or heating point at the very bottom of the inner pot that will be turned to lower heat when reaching certain temperature. This type of conventional rice cooker is usually cheaper and more economic. Standard rice cooker tends to result in lower quality rice. Some even cook with crust at the bottom, uneven moisture rice, and inconsistent result. Conventional rice cooker is ranged between $20 generic brands to $150 luxury brands. Micom (or micro computer controlled) rice cooker however, is equipped with a special chip to carry and execute certain cooking algorithms. This is to monitor and change the temperature according to the rice states, thus result in tastier rice. Most micom rice cookers also come with extra functions like steaming, baking, side-by-side cooking, porridge, cooking several rice types (white/brown/multi-grains/etc), water filling guide, so no more guessing and still got great taste rice every single time. Typical micom rice cooker is anywhere between $100 to $200 price range. The next advance is induction rice cooker which use induction heating to control temperature within a micom rice cooker. The heat is distributed evenly through the entire inner pot instead of just through the bottom, thus resulting in more even and consistent rice quality. Induction also helps with precision cooking, that if you’re used to Sous Vide cooking method, this type would meet your interest. Most induction rice cookers carry all features of a micom rice cooker with extra precision cooking features like fermenting bread, yogurt, cheese, baking bread, soup, stew, egg poaching, etc. Induction rice cookers come from the upper $200 to near $400. The most powerful type of rice cooker at this time is those that apply pressure cooking in conjunction with induction micom. At this level, it is not considered a rice cooker any more, but rather an all-in-one beast that can perform load of cooking tasks. These rice cookers can cook rice that taste perfect at the nick of time too due to the quick softening from high pressure. They also can do any task a typical pressure cooker could do, and usually can be used to replace a slow cooker, yogurt maker, bread maker, broth/canner, sauté pan, one step GABA brown rice…These high end devices come at a heap price tag, anywhere from upper $300 to over $600. Another rice cooker type that not exactly rice cooker, is the pressure cooker that carries setting for cooking rice. 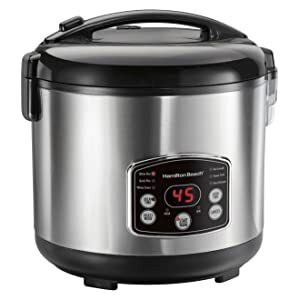 This is mostly attractive for the less frequent rice eaters, in that it carries loads of functionality through pressure cooking method and includes some options for rice/multi-grains. Due to different aiming aspects, these usually don’t have enough guidelines for filling water or separate cooking algorithm for rice, etc. Generically these cookers yield just average rice quality. 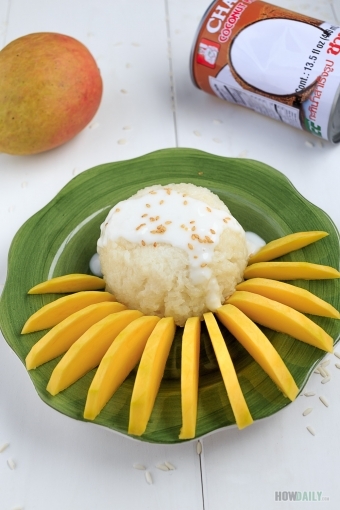 Taste and texture would just match that of a conventional rice cooker or less. However, due to their wide functionalities and cheaper price tags, these are more popular among Americans and Westerners. These cookers are usually a little bit over $100 or less. As with any products, there are brands that are more popular or higher credibility as well. 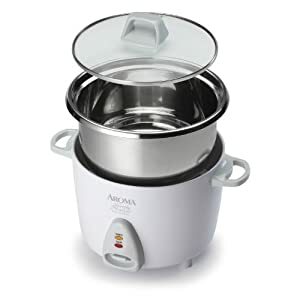 Brands like Aroma, Hamilton Beach, and Elite are popular for producing conventional and digital rice cooker at a very low price. Even though the rice taste are just average, they’re reaching more American hands especially those that cook rice infrequently. More serious rice eaters usually go for higher end brands from Japan and Korea, due to their aging within the industry and their rice quality oriented. 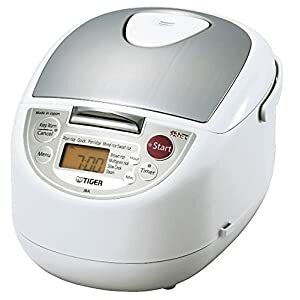 Most popular Japanese rice cooker brands are Zojirushi and Tigers, while appealing to different market bases, their rice cookers produce the most quality and tasty rice. Their difference – Zojirushi is totally Japan rice focused and has excellence on brown rice specific control while Tiger is more on popular grains types in conjunction with cooking other meal entrees. Other less popular Japan brands for rice cooker are Toshiba, Panasonic, Philips, Sanyo…mostly due to in consistent of rice quality between their models (i.e. not all their model create good tasting rice). Cuckoo also a very popular Korean rice cooker brand among East Asians. Their products are of high quality, durable and produce exceptional tasting rice. However, due to their marketing strategy with less support in English and Westerners’ language, they are not well known in America. So, which rice cooker is right for you? Do you have a very exact budget to follow? If so, then your choice is limited to those that fall within the price range. Otherwise, go on to see if extra money spent will be worth-wise for received quality. 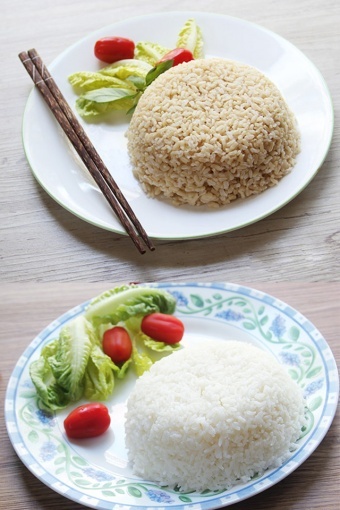 How often do you eat/cook rice? 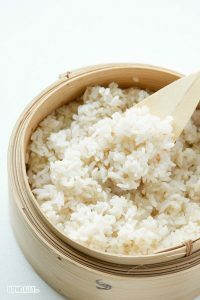 If you eat rice on a certain basic, then yes, you’ll need a good enough rice cooker within the budget for the best possible tastes and functions. If you just eat rice once in a while and doesn’t care much for the taste, an economic conventional might be your better choice. Or if your budget is wide enough, consider those All-in-one rice cookers, as you could use other functionalities as well besides making rice. Do you eat brown rice and other grains? If you want a rice cooker for brown rice or special grain type, then it would be best to invest in those higher-end Japanese or Korean rice cookers. This is due to their cookers usually having more focus on each rice grains, better tasting and texture controlling. How important is the rice taste to you? This is obvious, if you value the rice taste and want it exactly the same every time you cook, then get a micom or more advance product at higher cost. Otherwise, a good size conventional is enough. Do you want space-saving by having others AIO functions as well? It is that we all have limited kitchen space no matter how large our kitchen actually is. So, any extra function added to a rice cooker is a space saver, as it is for other appliances as well. Just think about it, you don’t have to buy additional appliance for each specific task, imagine how much space you will be saved by just having an AIO rice cooker sitting on that limited counter space. So if your budget allows it, I would say, go for the most versatile rice cookers you can find; they are designed for that reason. In conclusion, through this article we hope that you have a more visible choice of the best rice cooker that will fit all your needs and desires. There are lots of rice cookers on the market with all the glowing advertising, those 10 best rice cookers suggestion were picked out from our cooking experience, features research and long time observation. Many pros and cons were examined through customers’ feedbacks on retailers’ shopping sites. Got a rice cooker, What’s next? Feel free to leave us comments with your suggestion and questions below.